MS Research Australia would like to congratulate MS researchers Dr Edwin Lim, Professor Gilles Guillemin, Professor Bruce Brew and their team on being announced as finalists in the prestigious 2017 Australian Museum Eureka prizes for Innovation in Medical Research. The Australia Museum Eureka Prizes were first established in 1990 to reward excellence in the fields of research and innovation, leadership, science engagement and school science. 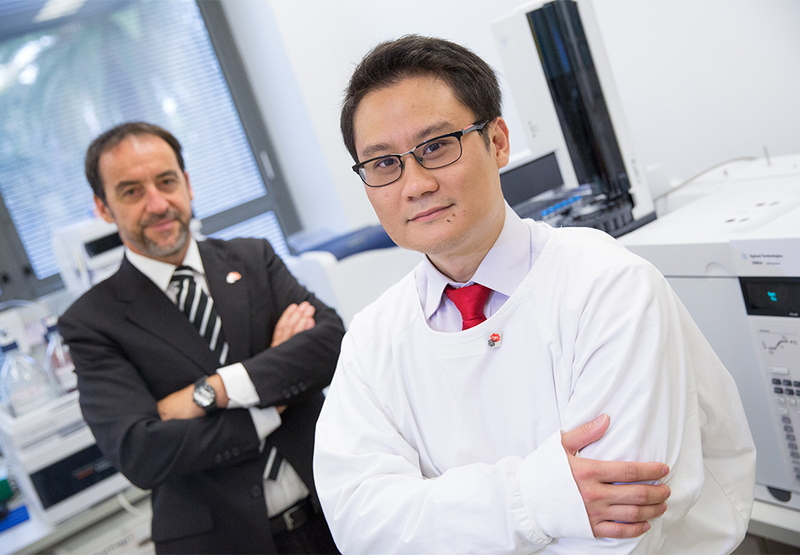 Professor Guillemin and his team have developed a blood test that will allow clinicians to rapidly and accurately determine which type of MS a person has. 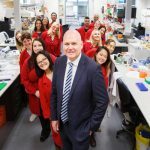 This world-first discovery will enable faster personalised treatment, which has the potential to slow the disease and limit damage to the brain and spinal cord. The findings, which took 12 years to discover, will help distinguish between the three different types of MS. Traditionally, determining which MS subtype a patient has and confirming prognosis has been a lengthy and challenging process requiring an array of tests. But the process looks set to change, thanks to this work. ‘This is a significant discovery because it will facilitate the ability to quickly and simply make a prognosis and will enable clinicians to adapt treatments according to their type of MS,’ explained Professor Guillemin. With the hope that a clinical blood test kit will be available for people with MS in as little as two years, this accolade recognises the ground-breaking discovery of these amazing researchers and the potential to pave the way for a new avenue of MS therapeutics. The MS Biomarker Team give an overview of the fantastic research they are undertaking, watch the video here. 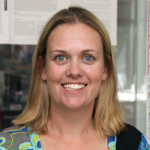 The winner will be announced on 30th August at the Awards dinner and MS Research Australia wishes our MS researchers all the best for the Award night.